When you pray using scripture, ask the Holy Spirit: "Please help me to understand and follow the Word of God." Open the New Testament and begin with Matthew. Something Jesus would say to you and that you need to hear. Read the passage and try to understand how it applies to your life. Ask the Holy Spirit, "Is there something in my life that needs to change? What does God want me to do? Please help me to please my Father." Did you ever wish you’d been present to see Jesus perform a miracle? Visualization prayer takes you back in time and lets you share in that experience. We hear the street crowd yell at the beggar to be quiet. 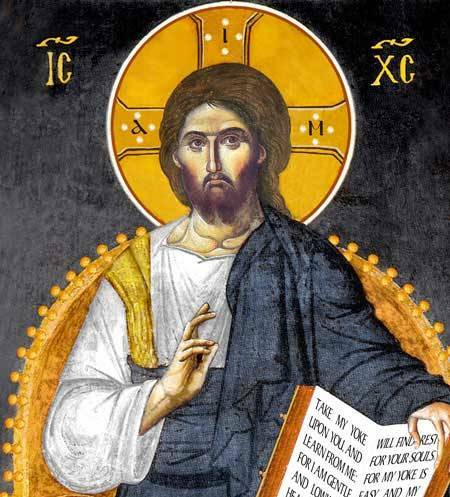 But he cries out louder, “Son of David, have mercy on me.” Then Jesus stops. He tells His disciples; “Call him here.” The beggar throws off his cloak and runs to Jesus. 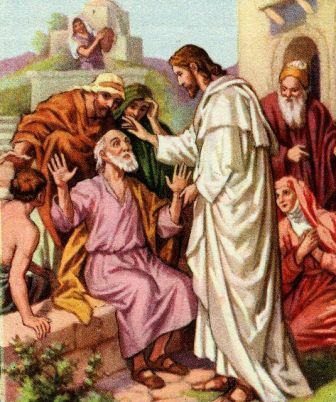 Coming closer we hear Jesus say to the blind beggar; “What do you want me to do for you?” The blind man answers, “Lord, I want to regain my sight.” We hear Jesus say, “Go, your faith has made you well.” Instantly the blind beggar regains his sight and follows Jesus. You can learn from this miracle. You can find strength and healing. Pray the Psalms, especially Psalm 23, Psalm 51, Psalm 121 and Psalm 91. When you are troubled, they will be your beloved friends. Ask the Lord to reveal Himself to those who never had a chance to know Him and to experience His love. Say a prayer for those who ridicule Christians and those who wish us harm. Remember Christ told us to love our enemies. End with words of praise, thanks and love for such a loving and merciful Father. You may wish to record your thoughts in a journal. Bookmark the page where you leave off. Start from there the next time.